The Gumotex Palava is an inflatable canoe that is ideal for day tripping and paddling calm rivers, reservoirs or lakes. 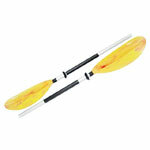 The Palava is very versatile, allowing the option of moving one of the seats into the middle for a solo paddler. The Palava is a great alternative to a hard shell canoe and is often recommended by experienced canoeists as the “go to” inflatable. 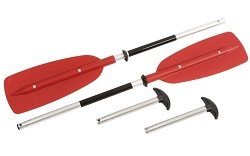 Easily paddled solo or tandem by beginners or experts alike the superior Nitrilon material used in its construction makes it robust and hard wearing as well as enabling it to dry out faster after use than nylon covered inflatable’s. The Palava can easily tackle relaxing rivers, canals and lakes while carrying your camping or picnic equipment but, if you are of a more adventurous nature, is also capable of taking moderate white water rapids in its stride. The max load for the palava is 240kg ensuring that you can take all the gear you need and the boat will still perform. The Palava has two padded wooden bench seats which can be completely removed if required and there is also a third seat mounting position near the centre of the boat which is ideal for paddling solo. 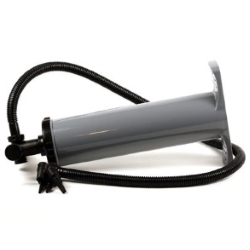 All this along with integrated thigh straps to keep you connected to the boat for better control in rougher or faster flowing waters complete the package. Unless instructed otherwise, we endeavour to supply the Gumotex Palava in 3-5 working days within the UK mainland. Delivery times are estimates based on years of experience; we do not offer a guaranteed timed delivery service. Our overnight service works well for the core more densely populated areas of the UK for Clothing and Equipment orders. However more remote less densely populated areas will not be covered by a next day service. Buy a Gumotex Palava online from our website and collect from our shop in Hamworthy, Poole or you can collect from any branch within the Canoe Shops Group. There is no cost associated with in-store collection.